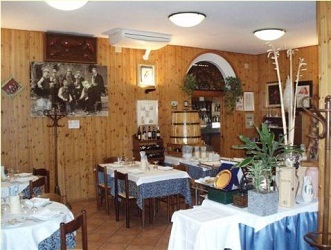 A longstanding place to eat on the road that leads from Bologna to Ravenna, in the village of Canaletti near Budrio. The century old country inn was a base for the change of horses and for dining of postboys. The inner walls exhibit a large picture with a group of Ocarina instrument teachers dating back to the late 19th century and which is the logo of the premises. Run by the Elmi family since 1982. From 2003 a laboratory of fresh pasta has been realized within in order to produce "tortellini" (hand made pasta with meat filling), "tagliatelle" (hand made noodles), "tortelloni" (hand made pasta with cheese and spinach filling), "garganelli", "lasagne" (layers of pasta topped with meat sauce and béchamel) . Typical Bolognese cuisine in the menu with a cart to serve boiled meat and cold cuts sliced with a knife in front of the customer. You can also choose barbecue or meat cooked in the oven. 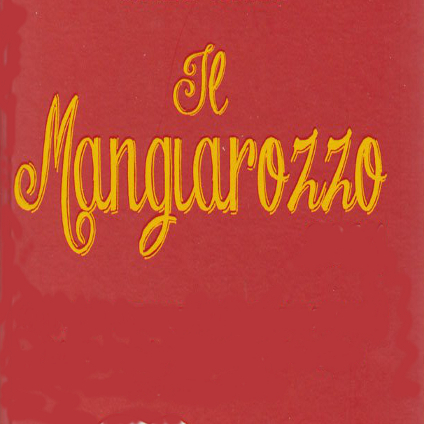 The trattoria has been reported on the Mangiarozzo guide among Italian taverns and inns where "eat well and spend less".